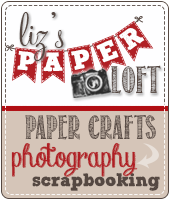 Liz's Paper Loft: MCT Little Bitty Blog Hop ~ Just A Note T Say Hello! 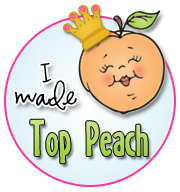 MCT Little Bitty Blog Hop ~ Just A Note T Say Hello! 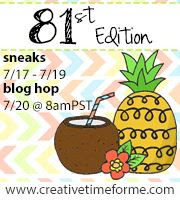 Welcome to My Creative Time ~ FUN "MINI" release blog hop! 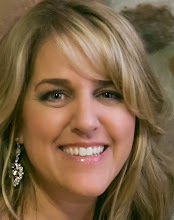 If you did not arrive here from Ruthie's blog, then you might want to start off at the beginning of the hop HERE because there is NOTHING you want to miss! Well I couldn't just stop with the "typewriter" die...I had to make some pocket cards with the "geotag" die and sentiments!!! 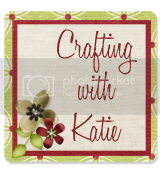 Your card is GORGEOUS AND I just LOVE "ALL" of your pocket cards!!!!!!!!!!!!!! Such a classy, charming card featuring the typewriter die. And your journalling cards...well, I can see why you made a series. They are awesome! Fabulous showcase of the new release! Kove the colors and the way you used the dies! Your card is just beautiful!! 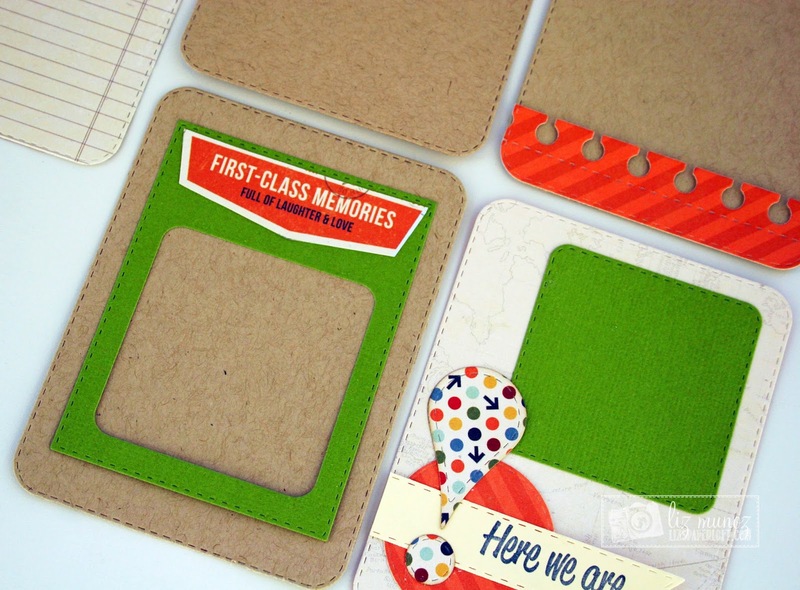 Great PL cards for a page ~ love it all!! Girl you outdid yourself!! Your card is as always the perfect shabby chic and I love your PL cards you truly outdid yourself!!! 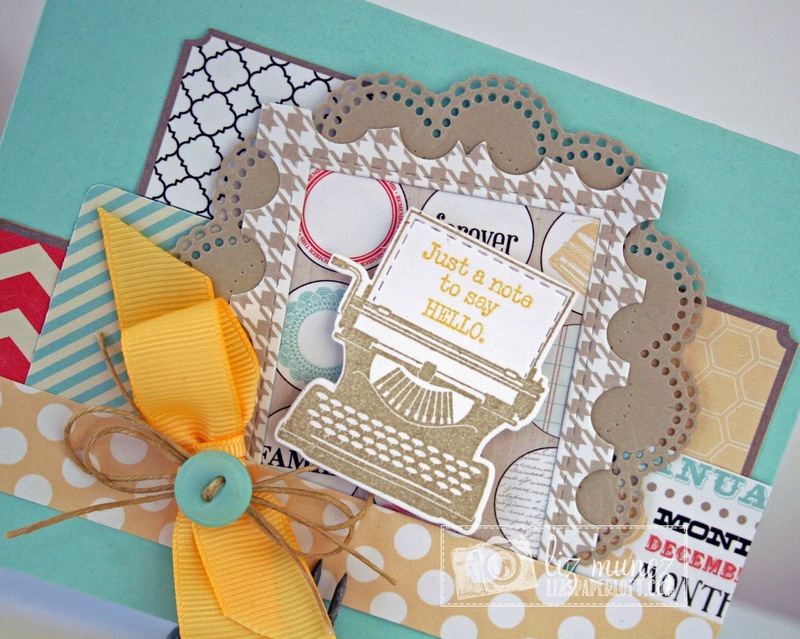 I like all the layers on your typewriter card and all the colors on your pocket cards. Your card is beautiful and I just love the pocket cards! Beautiful card. 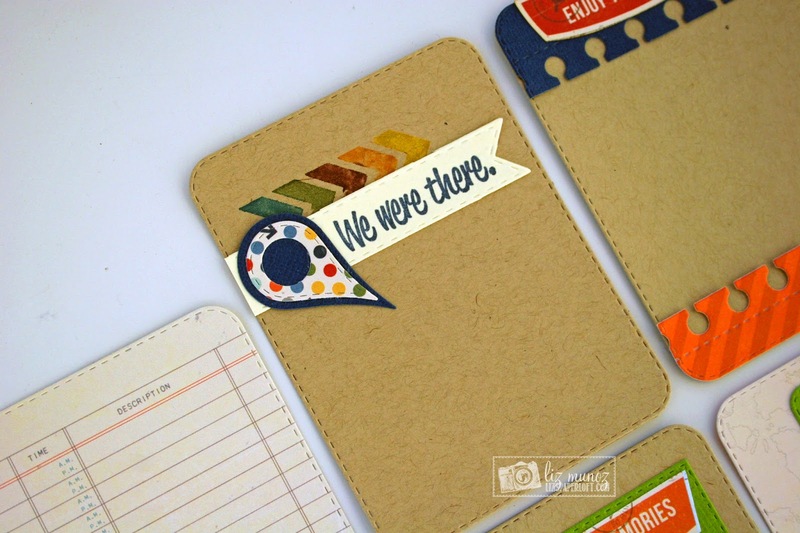 And I love the papers and colors you used on your pocket cards. Liz love your card and the journaling cards!! The paper you used is just wonderful, very colorful!! Your card and pocket cards are wonderful. Love all the great colors. Liz ~ your card is GORGEOUS! I LOVE all the layers you have going on and the papers and your PERFECT bow!! EEK! Then the cards! I can't wait to make some cards up for our vacation this year! WHOO HOO! FABULOUS as always! Beautiful greeting card and fantastic pocket cards. Great work on all. Thanks so much. 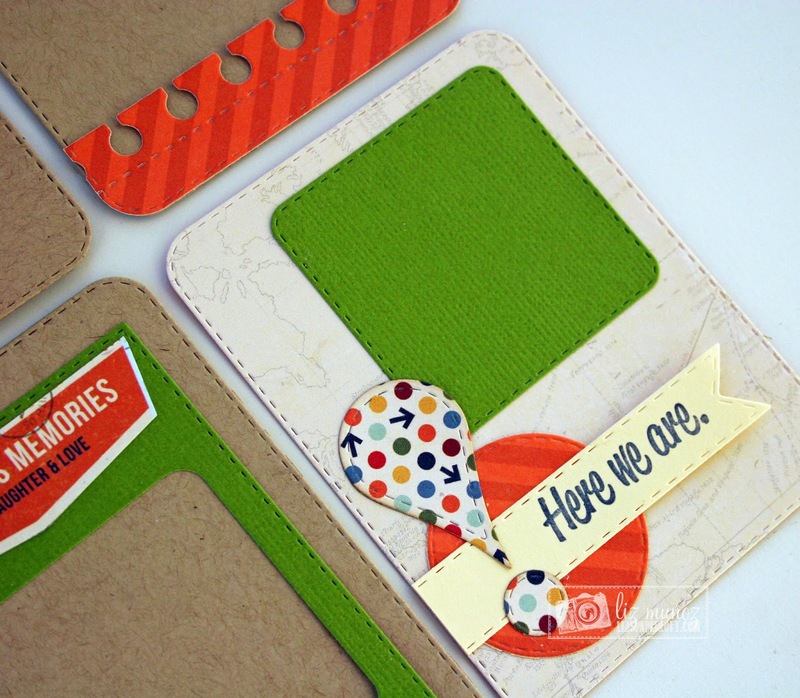 Love all your fun layers on your card and your fabulous journaling cards!!!! Wonderful! Your card is gorgeous Liz!!! 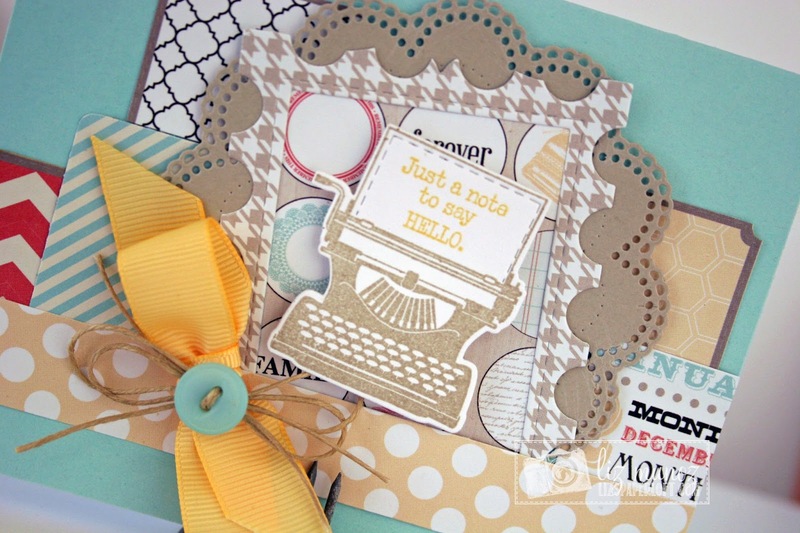 I just love the papers and the layers and that adorable typewriter!!!! Super AWESOME PL cards too!!!! LOVE them! Gorgeous card Liz! I am in love with all your project life cards too! What a beautiful card and I love the pocket cards that you made!! how cool are all of these! great job! FAB,FAB,FAB!!! Love the amazing card and your journal/pocket creations. 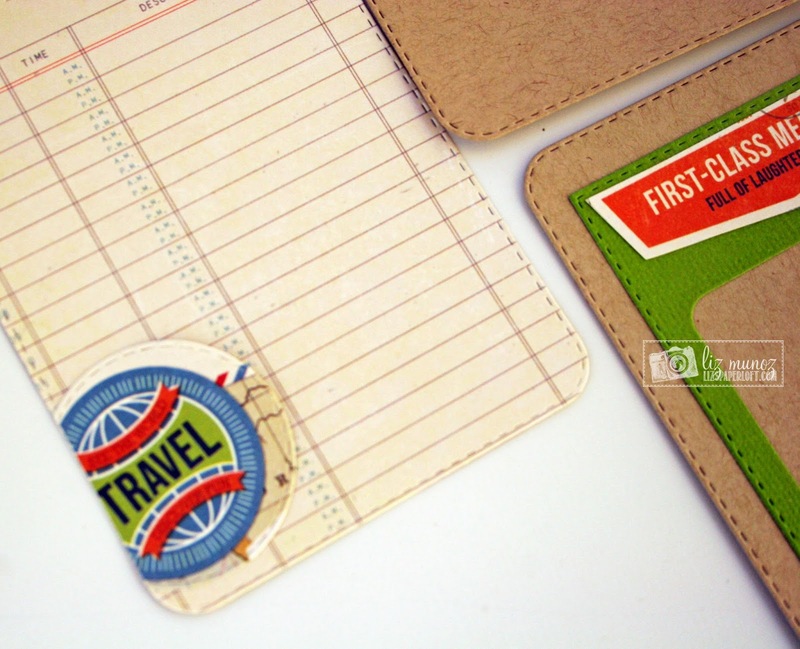 Love your card and the pocket tags. Each tag is unique and creative. Love all those pocket cards!! 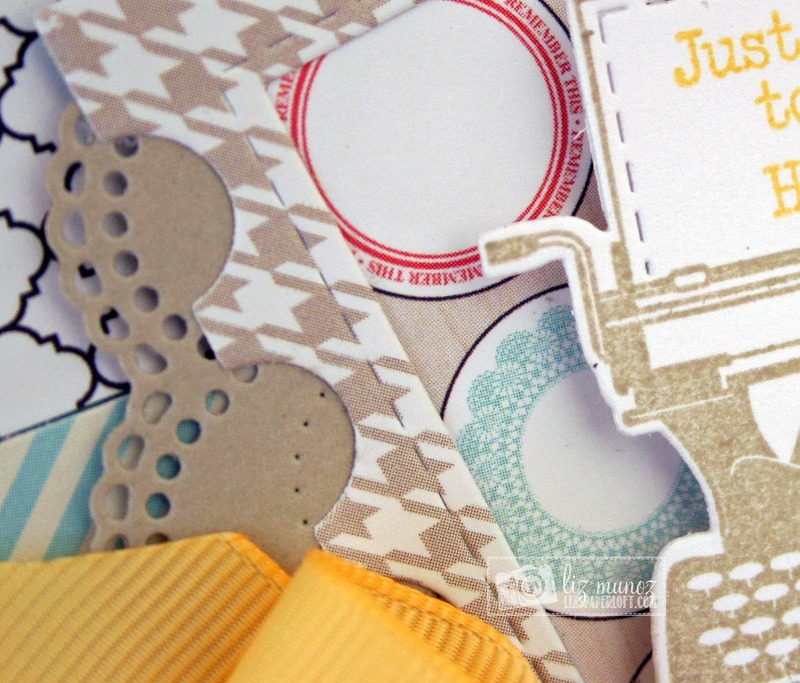 Thanks for sharing your beautiful projects, your card is just gorgeous, I love the combination of colors and your card for project life are just awesome! What beautiful colors! And such a perfect combo of elements as always!! And I love your pocket cards too! Cute! Liz, I can see you are going to have fun with this set! OMG, all your projects are darling! Great job showcasing this "mini" release! 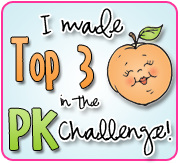 Your card is just adorable, and I love all of your cute PL cards ready to go! So fun!!! The tags are great. That die is so versatile. Love the card. Very pretty. 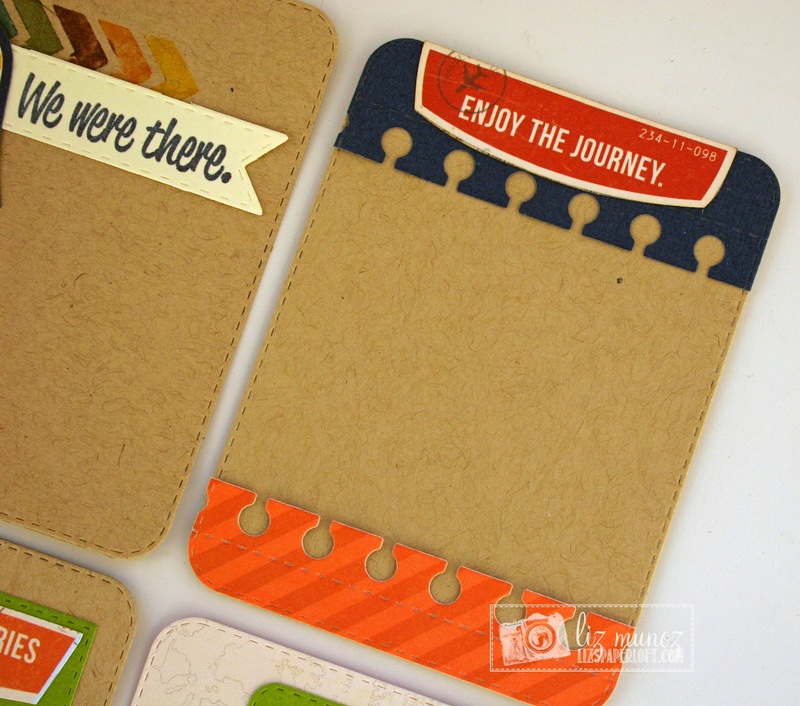 Super job..I love how you layered thee different dies on your card. I just love your projects! They're superb! Oh, your little cards are adorable. Love you layering on your card too. Thanks for some great ideas on how to use the new dies. Terrific card. Great layers and shapes. Like the doily. Beautiful card and pocket cards. The touch of yellow and doily are so beautiful with that great bow and button. 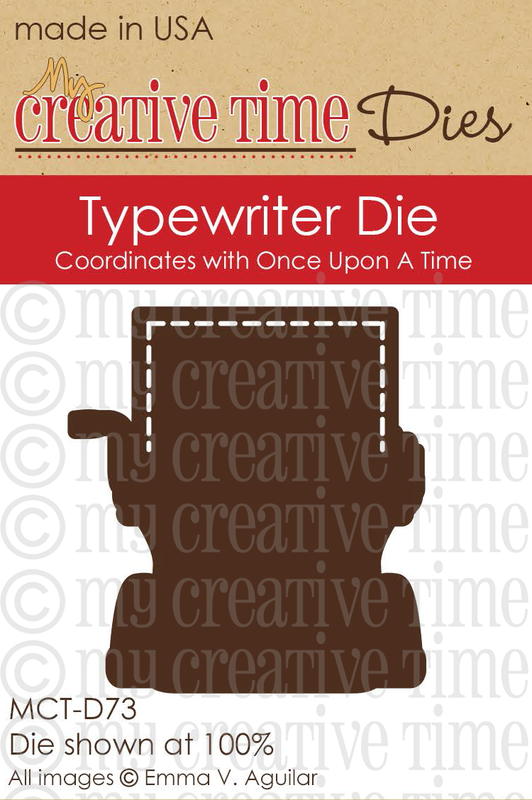 The die will make cutting out the typewriter fast and the stamp more useful. Super job on everything today. Great ideas Liz! 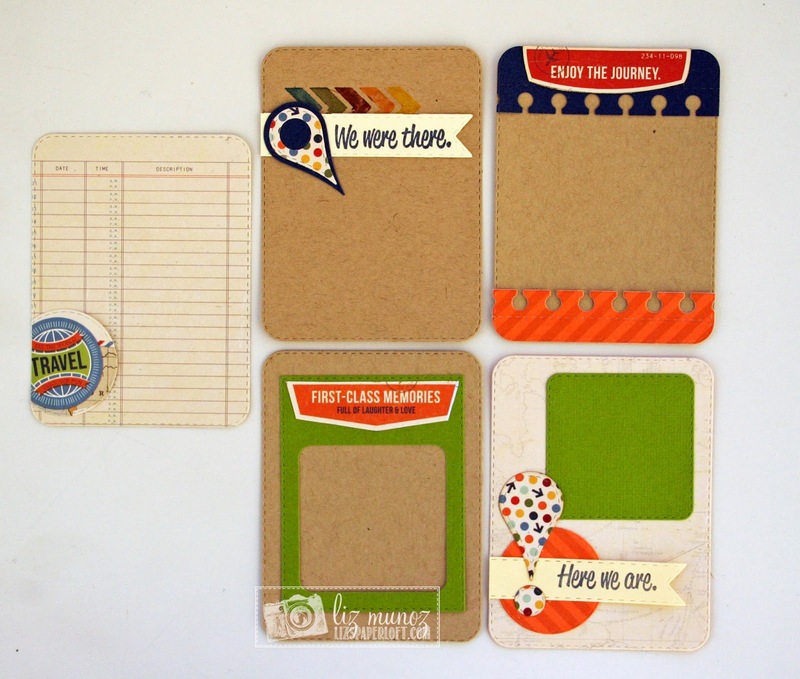 Love the PL journaling cards! Great projects! 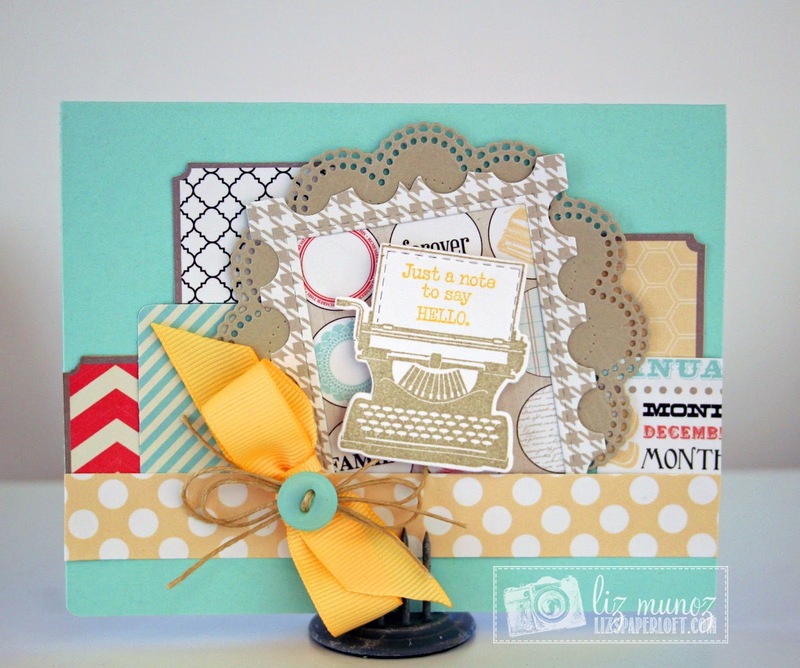 Love colors and the big yellow bow on the card. Thanks for sharing your cute ideas:) Loved your card and the colors you used on it.